Larraga is a town and a Spanish municipality of the Foral Community of Navarre, located in the Region of Tafalla and in Merindad de Olite, that distant 38,4 km of the capital of the community, Pamplona. Larraga with Mendigorría on the north, Oteiza on the west, Artajona and Tafalla on the east and Berbinzana on the south. Its population in the year 2014 was 2093 inhabitants, according to the INE. 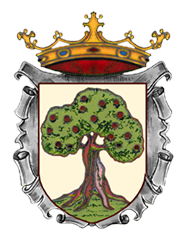 His current coat of arms was granted in 1507 by Don Juan de lbret and Dona Catalina de Foix with these words: “And we give you by privilege and freedom by arms, in a shield or field of gold a foot of raga with three fathoms (branches) Of sinople with their fruits of gules, so that those can maintain, honor and take advantage of perpetual. In a letter of tribute, the governor of the kingdom in 1276, the wax seal they used during the Middle Ages could be seen: A mazonado bridge of five arches, resting on cylindrical axes; In the upper part a castle of three towers and in bordura the inscription: SIGILLUN: CONCILL: DE: LARRAGA. One of the theories of the origin of the term “Larraga” would be the relation with the Tarraga of Roman origin. Julio Caro Baroja stated that: “The approximation of this name (Tarraga) to ‘Larraga’ seems to me etymology of singsong …”. Michelena demonstrates the possible passage in Basque of t-, d-> l-; And considers that the identification between Larraga and Tarraga could be considered to give rise to the most archaic example of this phenomenon. Old buildings (like the castle) suggest wars, sieges and looting, insecurity, defense and surveillance. In the iron age there was already a human settlement (the primitive Larraga), passing later by the Roman time, of which remains of a causeway with a bridge and in the middle age a protective castle and watch over the crown of a Hill by whose west and southwest slope the village was scattered, in the origins of the Kingdom of Navarre. It has always been said that the first documented origins of Larraga came from the Roman villa Tarraga, cited by Pliny, even so appear in various encyclopedias very well considered. Whether or not it is so, what we can affirm is the presence of the Roman Empire here, as witnessed by the Roman bridge that is coming out of the gas station in the direction of Estella, about 500 meters. But there are still more, since we can go back to earlier times; There remain archaeological remains of prehistoric settlements scattered throughout the entire municipality. If we go to the medieval period, it is indisputable the fact that this town dating from the eleventh century; Sufficient vestige is the Santo Cristo del Socorro, Romanesque carving of the XII century, that has reached to our days with a strong rooting. In 1193, Sancho the Wise grants to Larraga his private privilege that was applied with other mentioned mercedes in defense of its castle was entrusted to the council of the town, signal of great fidelity and prized priceless. Carlos II made it realenga villa. Don Juan de Albret and Catalina de Foix, besides giving him his shield, made it a good town, with a seat in Cortes. In 1990, a “natural primary lagoon” type water treatment plant was built at the exit of the town in the direction of Berbinzana. The covered fronton of Larraga is the second longest pediment in the world after Miami. On January 6, the festival of the Three Kings is celebrated Cross of the Kings, a sporting event.